A GREAT PROPERTY WITH SEVERAL POSSIBILITIES! This farm has been owned by the same family since the 1860s. Currently, there is a tenant farmer in place with a great crop rotation history of cotton and wheat. 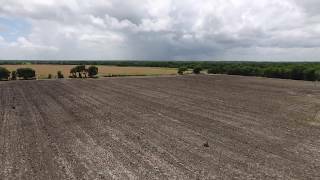 In addition, this farm has a tremendous amount of county road frontage of approximately 3,000 on CR 3212…rock CR, and CR 3208…dirt CR, giving the potential for splitting into smaller tracts. The family also owns a 160 acres across the road, which is on the market as well. Excellent locationjust north of Lone Oak and south of IH 30. From US Highway 69 in Lone Oak take FM Highway 1567. Left on FM Highway 2649 North. Left on CR 3208. The NW corner of the property is at the intersection of CR 3208 and CR 3212.